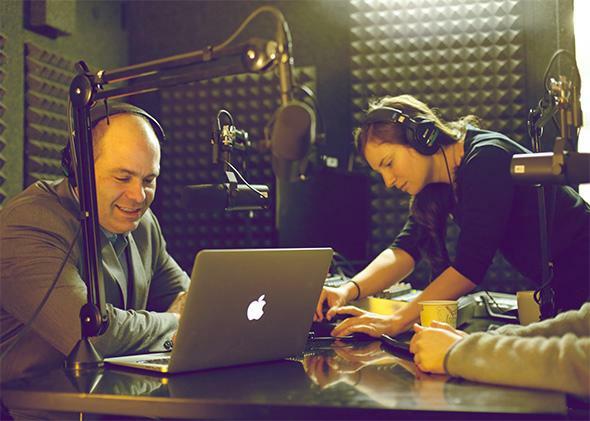 The Gist behind the scenes: Host Mike Pesca and senior producer Andrea Silenzi reveal how the daily podcast is made. A behind-the-scenes look into how Slate’s daily podcast, The Gist, is made. Mike Pesca and Andrea Silenzi. What goes into the making of Slate’s daily podcast, The Gist? We followed host Mike Pesca and senior producer Andrea Silenzi for an entire day to see what goes on during a typical day in The Gist, from interviewing to brainstorming, Spiel-ing, and more.